The cream cheese gives you a creamy rich soft cookie. This cookie goes very well with tea and coffee. Best of all this needs no frosting. 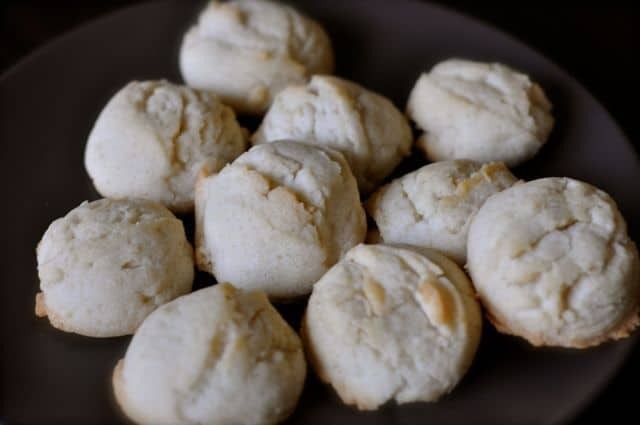 These cream cheese cookies are simple to make, and oh so easy to make. Cream shortening in bowl. Work in cream cheese and sugar, keeping smooth. Beat in egg yolks, vanilla and flour. Dough can be dropped, cookie pressed or chilled firm. Roll and cut. Bake 15 minutes.